VC Rocks is having a blog hop this weekend. 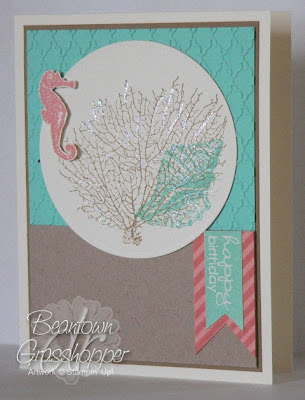 If you go to the VC Rocks blog, you can see the work of many talented stampers. The theme of the swap is to use punches, simply scored or the big shot. I went with the big shot. We went to graduation this year to celebrate with a couple of Seniors. It was a good graduation with quite a few speakers. The night was breezy, which I was grateful for because it has been warm and the humidity has started to increase. We got them a couple of gift cards each to places around here. I made the mortarboard gift holders. I would have put some truffles they would have melted in the heat. I bought some tassles at Hobby Lobby. I had to extend them with some embroider floss. I didn't have any black brads so I took the vintage brads I had and used VersaMark and black embossing powder. It works in a pinch.